My brother came to visit this weekend and as a treat for him I offered to bake anything that he wanted. He didn’t take very long to make his decision, he was seriously craving hot apples and rhubarb so a strudel was the only choice! 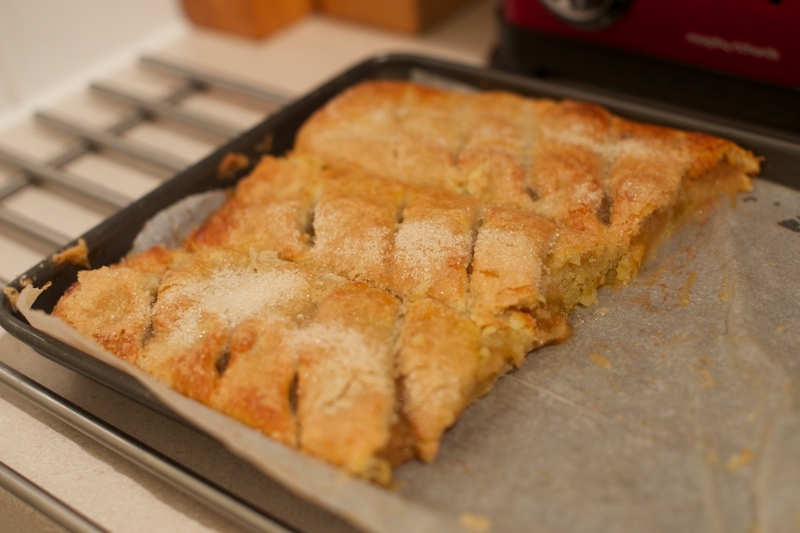 My brother rarely visits so it seemed a good idea to open some rum, and although it made everything more fun, I didn’t photograph the finished strudel anywhere near enough. I used the Christel’s danish pastry dough and danish apple strudel recipe from Nick Malgieri’s ‘Bake!’ and adapted the filling! 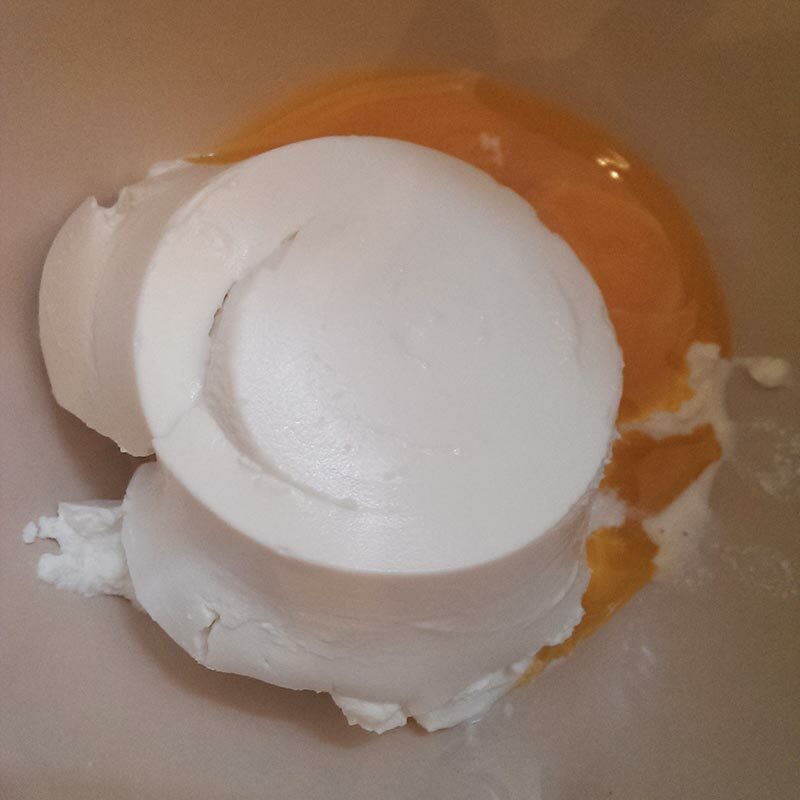 Stir the ricotta cheese and egg yolks together and set aside. Combine the flour, baking powder and salt in a freestanding mixer with a metal attachment and mix. Add the butter to the bowl and pulse repeatedly until combined with the dry ingredients. 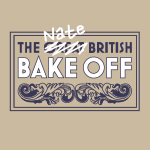 No visible lumps of butter should remain! Your mixer might groan quite a bit at this point, so if you have a food processor with a blade attachment, I’d recommend using that instead! Scrape the ricotta mixture in and pulse until the dough forms a ball. wrap your work surface in clingfilm and tip the ball of dough onto it. Put another layer of clingfilm on top of the dough and slowly roll it out into a rectangle about 1 cm thick. Refrigerate the dough until firm, probably about an hour. Now start on your filling. Melt the butter in a large frying pan with a lid. Peel, core and cube the apples and add the apples to the pan (Laura expertly did mine). Sprinkle them with sugar and cinnamon. Place the pan on a high heat and wait until the butter starts to sizzle. Use a wooden spoon to stir everything together and decrease the heat to low and cover the pan. 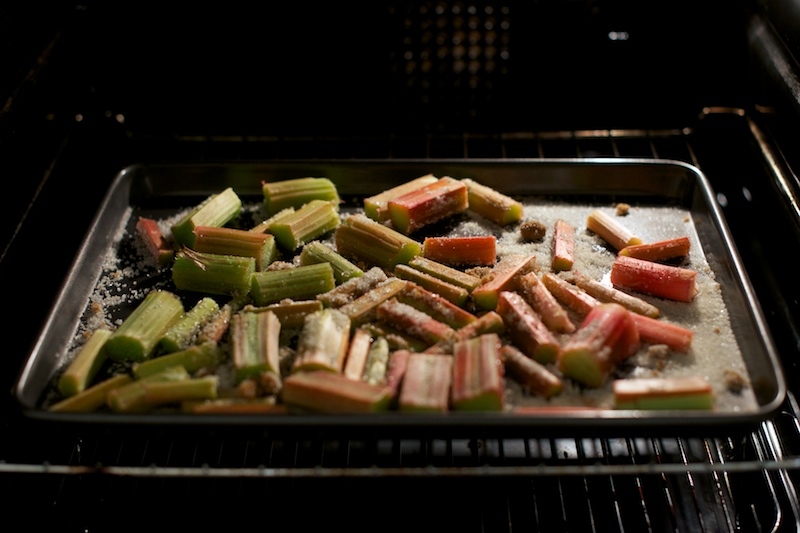 Wash and slice your rhubarb and lay it on a baking tray. Liberally sprinkle sugar over the top pop into the oven to soften for about 20 minutes at 200c. 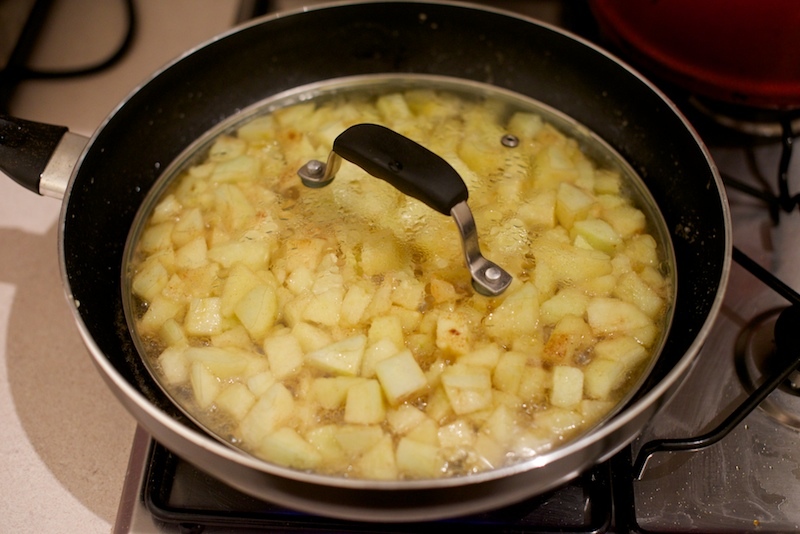 Give the rhubarb a stir and if it’s soft, pour the contents of the tray including the juices into the apple pan. Stir the hot fruit mixture and transfer to a cool dish. My brownie tin was perfect. Allow to cool for about 40 minutes. Remove the dough from the fridge and place on a floured work surface. 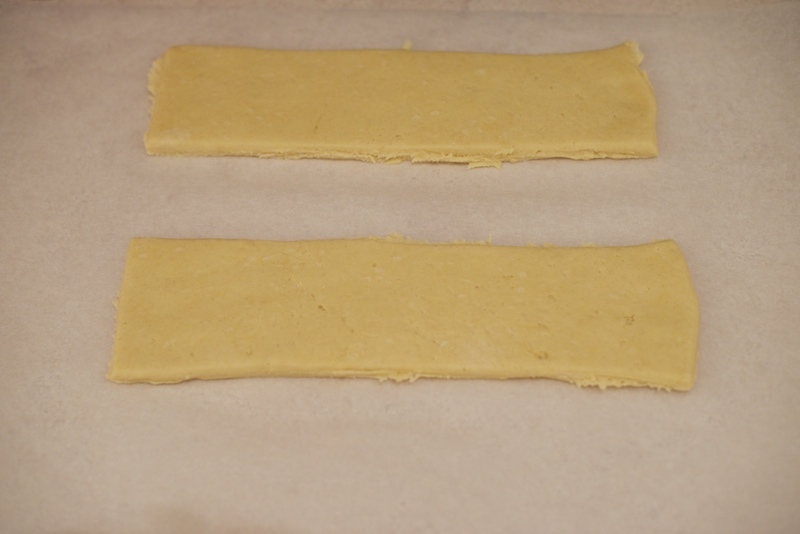 Cut the dough into two strips, each 15x45cm and transfer each one to a separate piece of baking parchment. 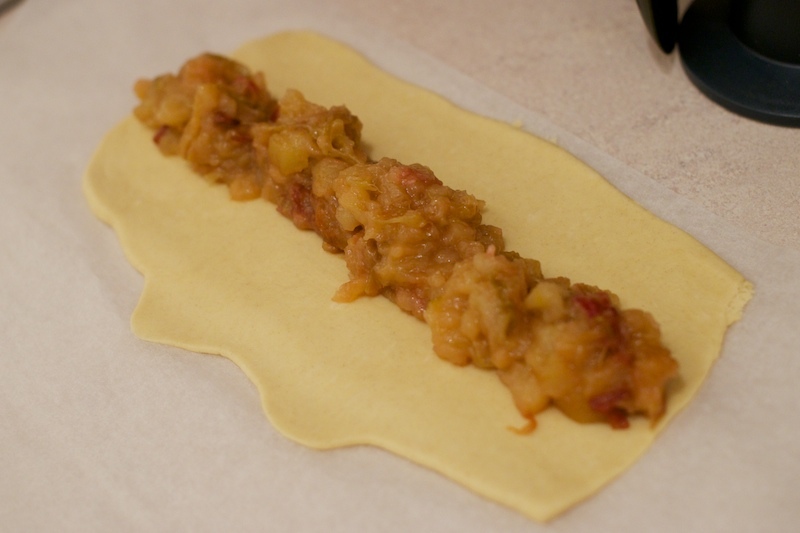 Roll each piece of pastry thinner and wider and spoon some of the fruit mixture down the middle. 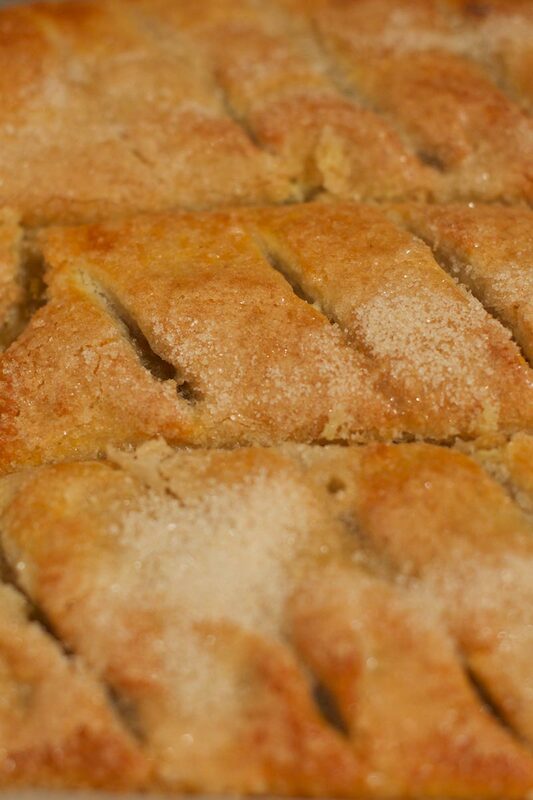 Fold one edge into the centre and then the other on top and crimp the pastry together with your fingers. Do the same with the other one and if you have enough pastry and filling, make a third! Roll them all over so the seams are on the bottom and leave to chill for another hour or so in the fridge. About 15 minutes before the end of the hour, set the rack in the centre of the oven and heat to 200c. 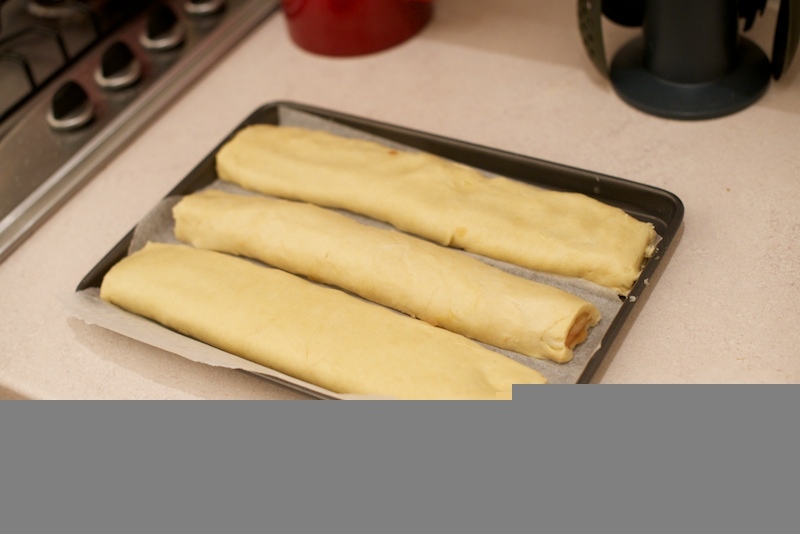 Brush the outside of the strudels with an egg wash if you are using one, sprinkle with sugar and make diagonal slits 1cm apart the length of each strudel. Bake the strudels for about 20 minutes until the pastry is golden. Serve hot with posh vanilla icecream or custard! 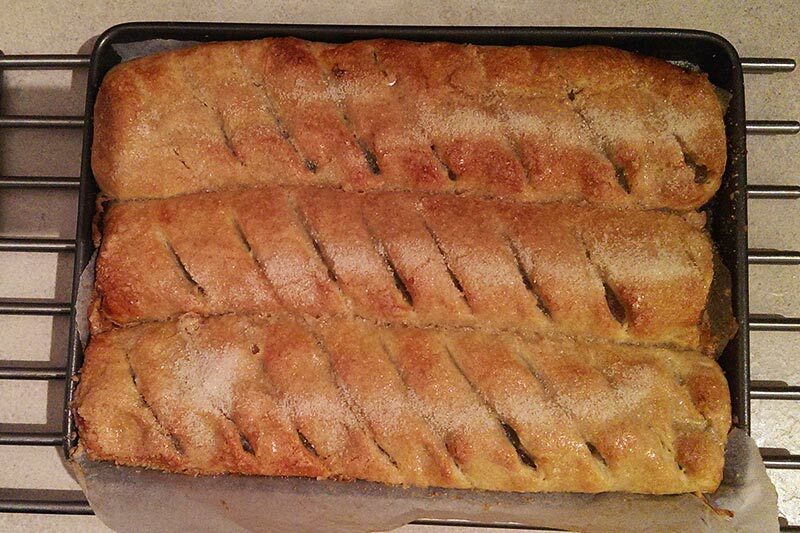 I think the recipe could have used double the amount of rhubarb, but I just love rhubarb. Overall I was very pleased with it and I had one happy brother! What about the addition of a touch of ginger? That can help enhance the flavour of the rhubarb.